Nearly everyone has been to the doctor. Nearly everyone who has been to the doctor also has experienced the sticker shock that comes when the bill arrives. Medical bills are some of the most confusing bills that exist. A patient can have a procedure performed by a doctor of their choice but the doctor who assists may not be known. Also the other healthcare professionals may also be unknown. The end result can be a doctor who is in network will produce one bill that is covered by insurance while the other doctor may be out a network which can cause large out of pocket expenses for patients. The other problem that occurs after health procedures is the multitude of bills that are sent. The hospital sends one, so does the doctor, so does the assisting doctor, and so does the anesthesiologist. The problem is well documented in articles like this one in The Atlantic. No one seeking health care is in a position to shop around. We are all looking for the best medical care that our insurance covers. Even if a patient tried to determine the costs for the procedure prior to the procedure no information is available for the fees and costs. After the procedure and after you are healed the next thing to do is gather the medical bills that have arrived. Go over the bills to ensure that the items on the bill are correct; many times the doctor’s notes are being transcribed into and coded into the bill, errors are not uncommon. If something is not covered by insurance determine why, ask for a copy of the policy and the provisions. Insurance companies and healthcare providers rely on consumers not doing the research. Once you have a determination as to what the bill will be due you will want to contact the hospital billing department and determine a payment arrangement. Typically hospital billing departments are authorized to settle the debt for a lump sum amount or to accept payment terms over a year or two without interest. In some cases medical debt is simply not something that can be paid off in a reasonable period of time. The inability to pay off medical debt can occur if you are still suffering medical problems and cannot work, if the medical debt is too high or if the terms that the hospital offers are not acceptable given finances. If the debt cannot be paid off within 1 year, if the hospital is asking for a payment you cannot make, if the hospital has hired outside collectors or if the hospital has sued you and take a judgment it is time to review other options. Depending on the amount of debt, bankruptcy may be the fastest and least expensive method to rid yourself of the medical debt. While no one wants to file bankruptcy, just as no one want to incur medical debt. Bankruptcy can be a useful tool to hit the restart button. Bankruptcy in Minnesota allows an individual or a married couple to discharge hospital bills and medical debt once every 8 year through a chapter 7. The chapter 7 process is designed to give you a fresh start in 95 days from filing to discharge. At a bankruptcy lawyer who has discharged millions of dollars in medical debt my general advice is to wait until the entire health problem has been resolved. Next try to resolve the medical expense with the healthcare provider and insurance company. If the medical debt is an amount that cannot be resolved within 1 year a bankruptcy needs to be considered. The most common problem is that people wait too long to consider bankruptcy. 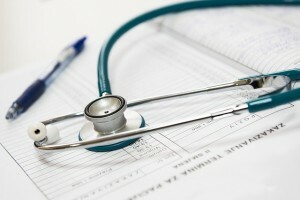 My office offers a free no pressure consultation that will give you the best option on how to resolve the medical debt.